Successful training for the Sonot Kkaazoot can go astray when an unexpected injury or untimely illness strikes. 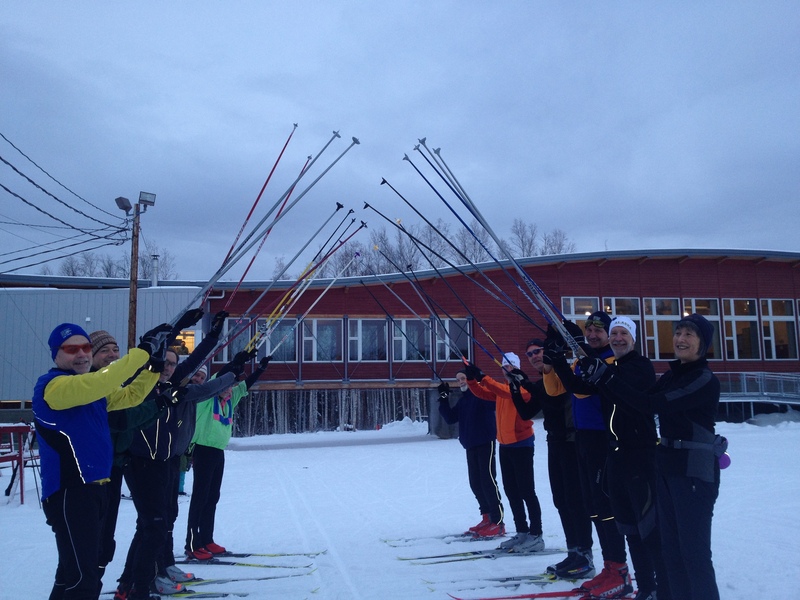 Thus, luck plays a significant role in making it to the start line on the Chena River on March 23, 2013. However, the celebration of spring that the Sonot Kkaazoot marks is more than just a ski race. For many skiers in the last wave, the Sonot Kkaazoot also symbolizes the return of health and fitness after unplanned detours. To those skiers (including our friend and race volunteer Tobben Spurkland, who is presently recovering from surgery in Anchorage), we give the SCUM salute. May you return to the ski trails soon.